DANA POINT — After more than a decade of having to turning away vessels weighing 50 tons or with beams measuring more than 18 feet in length, Dana Point Shipyard has decided to catch up with the trend of servicing larger boats. When Gene Jerry built Dana Point Shipyard in 1977, there were only six boats in the harbor that he and his co-owner, C.B. Shannep, couldn’t accommodate. In recent years, Jerry’s daughter and current shipyard owner, Catherine Cope, has noticed that boats have simply gotten larger. 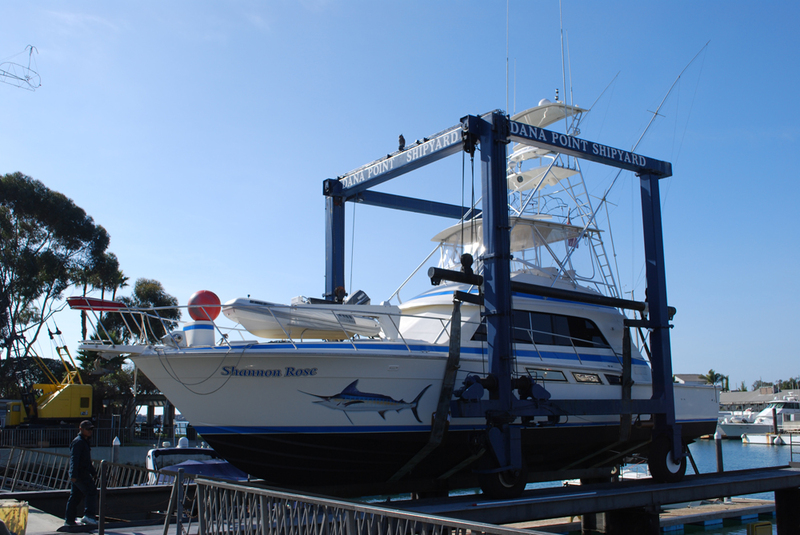 In 2007, her business did a study on the 2,400 boats in Dana Point Harbor. In light of their findings, the shipyard will undergo a $1.6 million upgrade that will include increasing the beam Travellift length capacity from 18 feet to 25.5 feet, and the 50 ton lift capacity to 100 ton weight capacity. The lift upgrade, which will cost $500,000 will allow the shipyard to support boats measuring up to 90 feet in length. Cope is not the only one who’s noticed the change in boats recreating in the harbor. Along with upgrading their Travelift, the shipyard will also be configuring its U shaped docks to a straight lateral design in order to accommodate larger and or more vessels. They’ll also be working to create a cleaner, more efficient work space. The new system will allow the shipyard to reuse water generated from the facility, while meeting National Pollutant Discharge Elimination System permit parameters. Should they ever have to discharge into the ocean in a five year, 24 hour storm event, the water quality will meet the given benchmarks, Cope said. The landside and water filtration portion of the upgrade is set to start in a few months, whereas the construction of the docks and travel lift will happen after the 2014 summer season.